Mystic was inspired by a trip Rachel made to Tanzania. 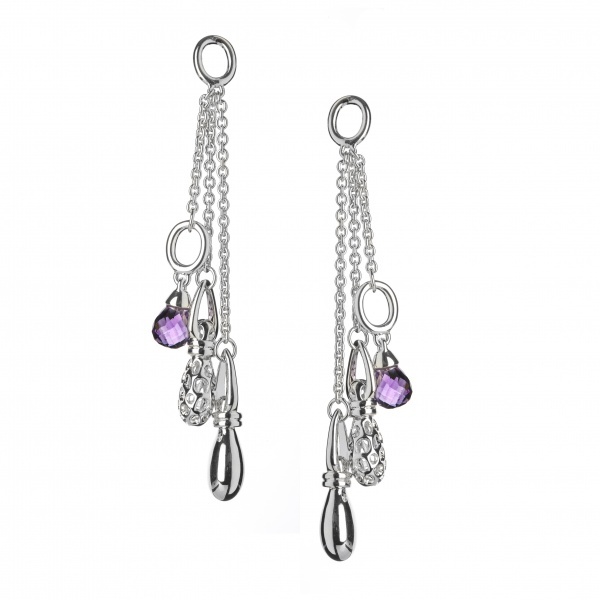 Mesmerised by the magical talismans of the Masai Mara, she has created these tantalising drop charms featuring faceted Amethyst. Created with such attention to detail and focus on the movement and play of light these pieces are truly divine.